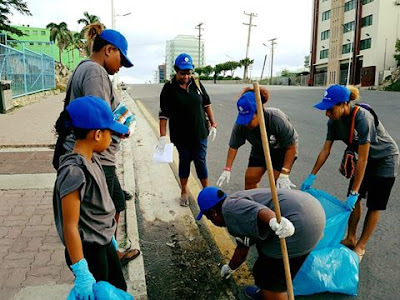 Staff of Kumul Petroleum Holdings LTD today took part in a major cleanathon to mark this years World Environment Day Celebrations which falls on June 5. The cleanathon which started at Ela Beach all the way to town is the first of its kind that KPHL has ventured into and is hoping it will become an annual event in the years to come. Over a hundred participants including family members of staff and children braved the early morning cleanathon which started as early as 5am. The cleanathon ended at 10am which lunch before retiring home.